When Pat Yates, founder of Happy Feet, came into the Shark Tank, I did something I rarely do – offer a deal to someone after I’ve already said “I’m out”. But the more Pat kept talking, the more I started to change my mind! Happy Feet started as a small mall cart business, and Pat and his team have grown the business throughout the US, Canada, England, and Spain! Since Pat’s appearance on Shark Tank, Happy Feet has doubled its sales ! Looking at Pat’s hard work and dedication, it really doesn’t surprise me that we secured a DreamWorks Animation deal, bringing their lovable characters to life through Happy Feet slippers. 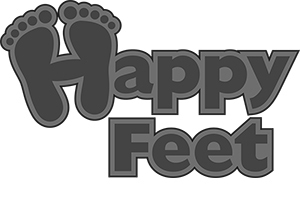 I’m confident that Happy Feet will continue to see global growth through licensing and endorsement deals – onwards and upwards Pat! I get motivated by finding new opportunities. To be honest, I’ve always felt like I’m better at product and business development more than any other part of a business because I always want to see how I can keep growing it. Appearing on Shark Tank makes people look at you differently. Be wary of buying into the hype. Be humble and work twice as hard. Use Shark Tank as a vehicle to grow your business, but not the basis for your growth. Just because you were on Shark Tank doesn’t mean your sales are going to go through the roof – your product still has to be amazing for people to buy it. You can’t expect to have the answers for everything or be something you’re not capable of, whether that’s for other entrepreneurs seeking your help or for the media. Excellent – couldn’t agree more! How did you know that this is what you wanted to do? Prior to starting Happy Feet in 1995, I’ve had five businesses. Happy Feet is easily the most fun and the most challenging one I’ve ever had. To be honest, I’ve always been a business guy – just can’t imagine working for someone else! When I spoke to the entrepreneur who got me involved with my first company, he said I had everything it took to succeed in business. I believed him and went for it! Never looked back after that. I’m the same – Just can’t imagine working for someone else ! What does success mean to you? How do you measure it? I measure it not by money, but by the scope of my company. We make a lot of people happy with our product and their satisfaction is what I measure. And really, that’s what success is to me. I want to be able to see people happy and satisfied with my product – seeing that is the best thing I can ask for! Additionally, it’s how I approach my growth personally and professionally. Did you find there was a price for success? If so, what was yours? More than I can describe! There’s always a price you have to pay and for me, I can say that I’ve truly lost a lot of myself over the years. I’ve laughed, screamed, yelled, cried, and wanted to give up so many times. You pay every day as a business owner, but that challenge also motivates me. Take your hard days and turn them into your motivation to do better! In business, failure is also inevitable. Can you tell me a time you’ve failed and what you learned from the experience? Too many to name – how much time do you have, Robert? I feel at times I took risks that were calculated but I still believe that the biggest failure was not changing my business model to go to big retail chains. That being said, this decision also led me to higher sales online. What has been your biggest sales hurdle you’ve had to overcome and what did you do to reach the next level? The biggest sales hurdle is still ongoing. Right now, our biggest question is: how do we monetize retail in a way that we make margin and offer products that won’t take tons of shelf space? That growth will move us to an 8-figure company so we’re really trying to find a solution for this problem. So in terms of the future, where do you think Happy Feet is headed? What’s a significant goal for the company? My goal for the future of this company is to begin to introduce new and innovative slipper designs and new plush products. I think 2017 is going to be a huge year for introducing a new line of products for us. That is going to be very exciting! I measure success not by money, but by scope of company. I like to look at my business and see how I can grow it. You pay every day as a business owner.